Schools around Tasmania will be impacted by strike action later this month as sate school teachers join other public sector workers in negotiating new enterprise bargaining agreements. Australian Education Union representative Roz Madsen told the ABC that union members will be participating in stop-work meetings that will affect all schools in some way. The meetings will be around 45 minutes long and most staff will return to their school posts by 10.30am. Over in Victoria, educators are concerned about waning teaching graduates. The ATAR cut-off to get into an education degree next year is 70, which is a substantial increase. In 2016, some Victorian universities were accepting students with scores as low as 20. As teaching degrees are relatively cheap for universities to run, accepting as many students as possible might seem like a cash grab. At least, that’s what Victorian AEU head, Meredith Peace intimated in an interview with the ABC this week. While selection criteria helps bolster quality within the industry, population growth is beginning to out-pace available teachers. For some subjects, like music, specialist teachers are becoming particularly rare. 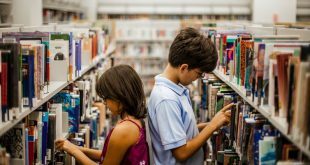 Queensland’s Deans of Education also reported a huge drop in teaching student numbers this year, with UQ citing 44 percent less students nominating an education degree as first preference. 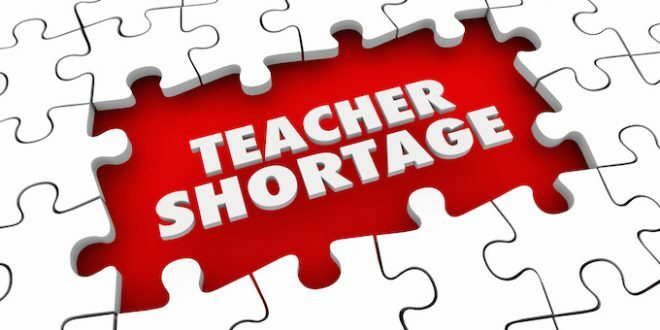 In New Zealand, the teacher shortage has become a huge problem and strikes have plagued the sector for the better part of this year. The NZ education union, NZEI has been campaigning for salary increases and better incentives to encourage bright new teaching students. To avoid reaching crisis point, Australia may have to get creative in brainstorming new ways to boost the status and appeal of teachers. Is it a question of student debt? Salaries are a big deal: a brand-new dentist can earn $130,000 in their first year, a registered nurse will start on around $60,000 and increase to $89,000 over time, while a teaching graduate will only bring in $65,486, increasing to around $71,000 over five to 10 years. There’s not a huge incentive there for young people who are putting themselves in debt to get their degree in the first place. More salary progression would go a long way, particularly as the student loan repayment threshold decreases every year, meaning that graduates are keeping less and less of their earnings straight out of the gate and over a longer period of time. The compulsory repayment threshold for the 2018-2019 income year is $51,957 but for the 2019-2020 income year it drops to $45,881. Regulating tuition fees or offering more grants and exceptions for high achieving students entering a degree like teaching where there is a need for new blood, might be the only option to avoid the kind of teaching shortage New Zealand is experiencing right now. Keep your eyes peeled to see how they resolve it.